عندما تزور بريسبان, ستشعر أنك في بيتك في Domain Serviced Apartments الذي يقدم لك إقامة متميزة و خدمات عظيمة. يسهل الوصول إلى هذا الفندق ذو 4.5 نجوم من المطار، فهو يبعد عنه مسافة 5.00 Km فقط. بالنسبة لمن يريد الخروج، هذه بعض المعالم السياحية المتوفرة للزوار طريق حلبة السباق, ‪St Augustine's Anglican Church‬, Eagle Farm Racecourse. يقدم Domain Serviced Apartments خدمات لا غبار عليها وكل أشكال اللياقة وحسن الضيافة اللازمة لإسعاد ضيوفه. يقدم هذا الفندق العديد من الخدمات الكفيلة بإرضاء أكثر الضيوف تطلباً. تتضمن كل غرف النزلاء وسائل الراحة والتسلية المصممة خصيصاً لضمان الراحة القصوى للضيوف. صممت خدمات الاستجمام في الفندق والتي تتضمن حديقة لمساعدتك على الاسترخاء والراحة. استمتع بخدمات لا يعلى عليها وعنوان ذو اعتبار في Domain Serviced Apartments . مكتب الاستقبال مفتوح من الساعة 09:00 صباحًا إلى 05:00 مساءً. يجب على النزلاء الذين سيصلون في وقتٍ آخر غير الأوقات المذكورة أن يتصلوا بالعقار مباشرةً قبيل وصولهم؛ وذلك حتى يمكن إجراء ترتيبات أخرى. قبل تسجيل الوصول، سيتم إعلام النزلاء بأرقام غرفهم وسيحصل كل نزيل على كود أمني لدخول غرفته من خلال خدمة الرسائل القصيرة. يتيح هذا الكود الأمني للنزيل إمكانية الوصول إلى منطقة الردهة بشقق "دوماين" المخدّمة، وساحة انتظار السيارات، وأماكن إقامة النزلاء. 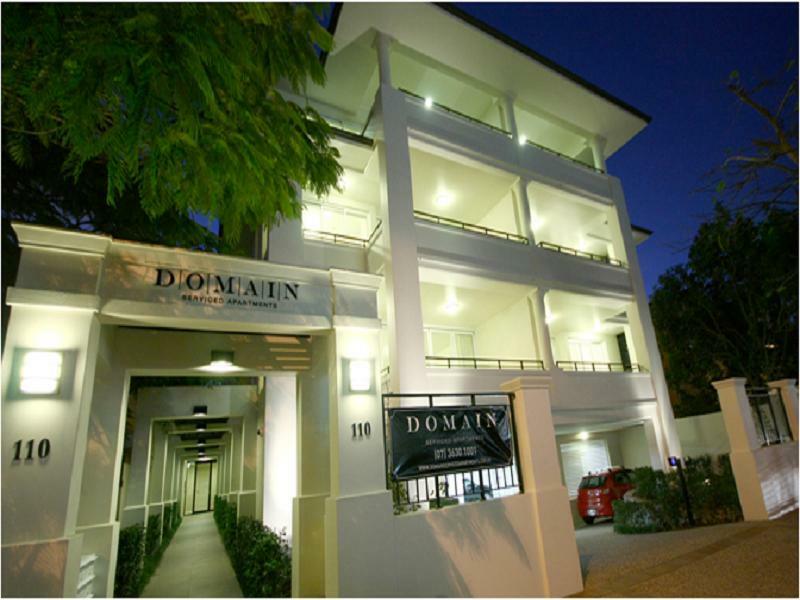 Great location - supermarket across the street and amazing restaurants within walking distance. Will definitely stay again. 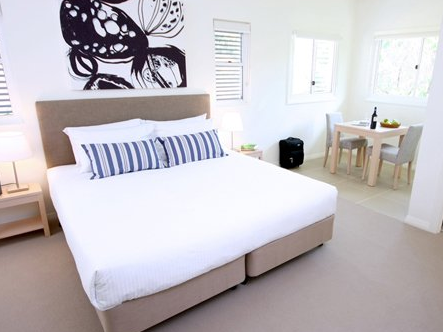 Loved the apartment everything great may suggest a large outdoor ceiling fan on patio for the really hot Qld weather. Stayed one night to go to airport next morning, which was an easy drive. Apartment was spacious and well appointed for self catering. There is also a supermarket and bakery across the road. Alternatively, there are numerous cafes close by. We had no direct contact with staff, but the emailed instructions for entry were clear. There is also undercover secure parking. Great Location & value for money. Have stayed here 3 times and will definatly be back. The private parking space is an extra bonus. Great location and facilities. 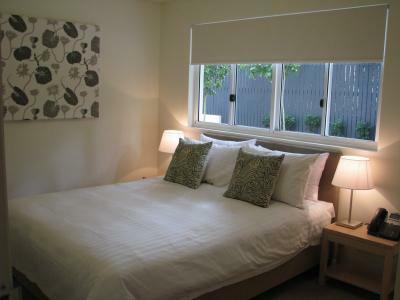 Within walking distance to good restaurants and shops. If you have multiple people in your family, note that the rental only includes an internet connection that supports one user at a time. Across road to shops and restaurants.. walk to races. Close to Eat St and cruise ship terminals. Lovely studio room. Staff friendly and attended to our blown light globe promptly. Only let down was the small television as we are used to a 75". Need at least a 40" these days. Great restaurants nearby. Needed a code to gain entry through every door etc which became annoying even for a one night stay. Studio room was clean but tiny and felt like a jail cell to be honest and was very basic. No facilities were provided in the building, and we had no interaction with any staff so can’t comment on that. 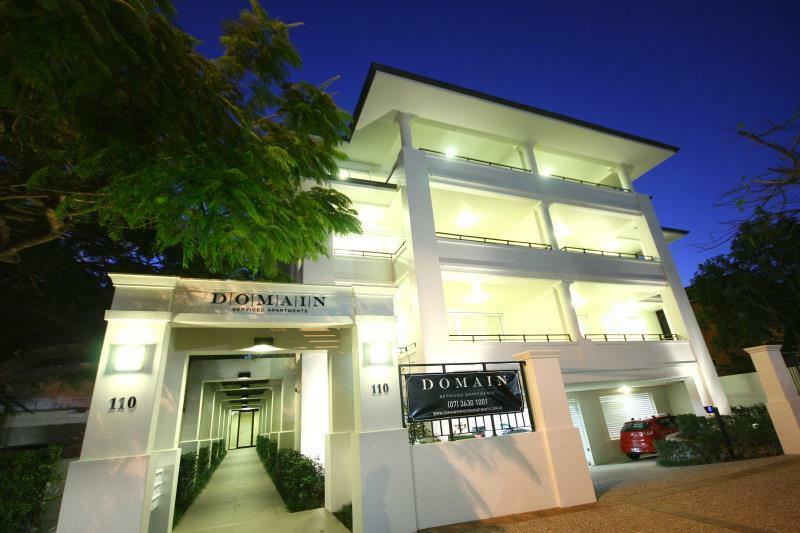 Good location close to shops, food, transport etc & free secure parking was good. Entering into the room is like entering into a jail cell - because no key card system in place and all pass code requirement for entrance door and rooms doors etc. Its painful because all the time you need to get your phone out to check the pass code. No staff around the building or vicinity of the area if you need any service ... e.g. : milk or coffee. Overall clean rooms and toilets. Never again....Freedom! Excellent. I would recommend highly. Can’t really comment on staff as we didn’t have to deal with anyone in person. We checked in after hours and the staff were amazing at organising our room. Extremely clean and tidy. We were very happy. Convenient for cafe bars and across from food and liquor store. Very good value for money and included private parking. 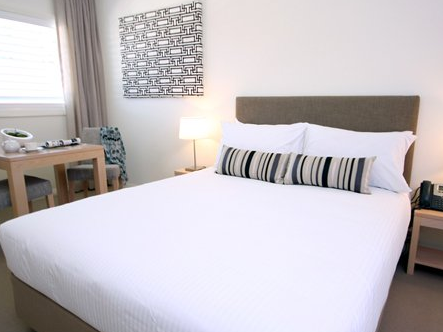 Extremely clean and cozy, spacious room, right opposite the supermarket. Close to the airport. At a quiet neighbourhood. Recommend!